• Superior cleaning. Whiter teeth. 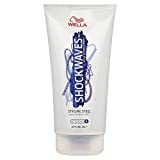 • Medium stiff bristles provide a firm, but gentle experience. • Operating time: For optimal results, a new brush head is recommended every three months. 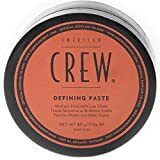 Add texture and thickness to limp, lifeless hair with American Crew Defining Paste. With lanolin, glycerin and beeswax it moisturises your hair, whilst providing pliable hold and a thicker appearance.